I am excited to be serving as a Youth Development (Peace Corps) volunteer in Swaziland starting in June 2016. You may be wondering where Swaziland is, why I’m going to Swaziland, and what I’ll be doing during my time there. 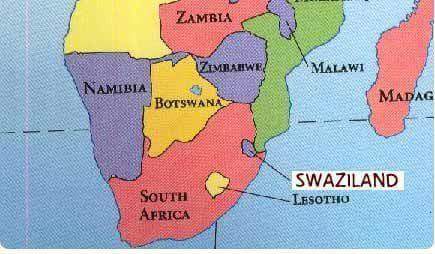 Swaziland is a small country in southern Africa that shares borders with South Africa and Mozambique. Swaziland is the only absolute monarchy in the southern hemisphere, and the only remaining monarchy on the African continent. The population hovers around one million people, and is about the size of New Jersey (a northeastern US state). While official government business is conducted in English, Swazi people also speak sis-Swati. The Peace Corps application process gives an opportunity to state preferences of where you are placed and what area you will focus on. As a social worker, I decided that I would be the most competitive in the Youth Development sector. I stated preferences for Mongolia, Swaziland, and anywhere in the world. The rest is history. As far as what I will be doing during my service, I am not sure. I know that I will be joining a group of about 40 people from all over the US to start Peace Corps training, which will be in Swaziland. I will be learning more about the assignment(s) as time goes on.